Central Scotland in the UK seems to be in love with house music all-dayers, with various bars and brands running their owe regular parties, many of them having built up a loyal following over the years. One of the most popular, taking place every Bank Holiday and a few other selected dates throughout the year, is We Love Fundays at Mini Bar in Glasgow city centre. What was the idea of starting the We Love Fundays events? Daytime parties always seem to have a good feel and vibe about them, plus we wanted to extend our regular Sunday night to invite DJs from Glasgow that we rate and are keen to have play to our crowd. Plus everyone loves an all-dayer! How are the events received by your regulars? Our regulars love our all-dayers and every DJ we have come play for us always speaks very highly of the bar/staff/crowd and venue. It's always a great atmosphere and the regulars are very musically aware and we appreciate that. We try different things to keep the crowd involved and so it's not just another event with lots of DJs playing. In the past we've had a black light party, classics nights, Xmas jumper party etc. The bar is only small but it creates a great atmosphere. What has been your favourite memory of the all-dayers so far? Allan: Last summer we had loads of inflatables bobbing about the place. That was fun. Chris: We had a classics all-dayer and personally for me anyways, Stephen Lee playing Gorgie Porgie’s ‘Life Goes On’ was a highlight. It took me back to my roots of the original room 2 in The Tunnel Glasgow and proper house music. Other than that, at one all-dayer, a punter turned up with a three feet garden gnome, which was bizarre but brilliant. 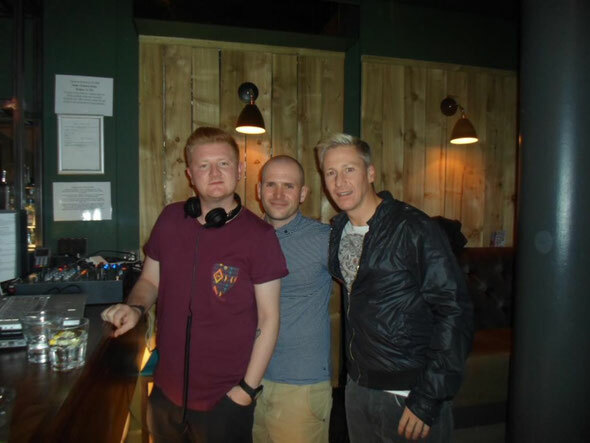 Robert: Our recent all-dayer on the Easter Sunday was pretty special, from the off you could feel the crowd and the DJs were right up for it. After only two or three hours into the all-dayer it was in full swing, the bar was at capacity and the front door was working on a one in one out basis. The atmosphere in the bar that day was second to none… also a couple of cheeky classic house tracks were thrown in that day too and the crowd lapped them up. Who's the Mini Bar's clientele? It’s aimed at those people who enjoy house music, those with a discerning ear. The owners, Ryan and Brett, plus the staff all really enjoy house music so that means we’re all on the same page on what type of crowd we try and get involved. 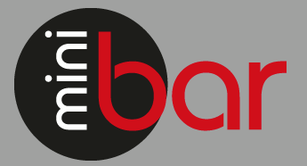 Over the years the bar has grown from strength to strength and the We Love Fundays name is well known now in Glasgow. How hard is it to do a house/dance event in Glasgow when the majority of the city seems to demand pop and R&B? Very hard at times, demand for the MTV culture does make it difficult to push a sound and a night but we manage it quite well. There are some good house music promoters coming through though. You just have to look out for the right events. Any plans to take the events into a club afterwards? We have spoken about the idea and we are planning on doing this in the very near future. It's tough with so much competition out there. It’s all about getting our timing right to create something everyone will enjoy. It won't be a run of the mill thing though, we want it to be special. What sets your all-dayers apart from others in the city? Fresh house music with a cool mix of boys and girls. We plan our night properly, from what slots to give each DJ, to try and build a night perfectly. A lot of thought goes into each one and we constantly strive to keep it fresh. Lots of other nights are only interested in DJs who bring 50 mates, we’re the opposite. We would rather have a good DJ who plays the right music and is aware of the crowd than be banging it out just for their mates. We are not thrashing out techno or progressive bangers, we’re pushing good, upfront house music. The atmosphere is really good within the bar too, a lot of good friendships have been made from our night and within the bar. 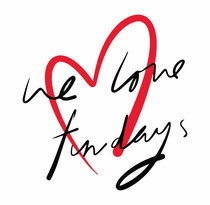 We Love Fundays returns this Sunday at Minibar, Glasgow, click for full event info.